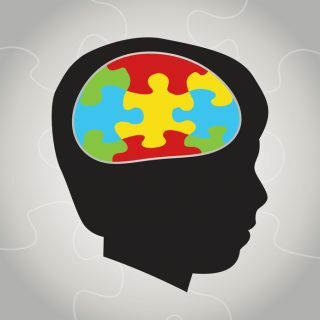 A recent study by researchers at the University of Toronto suggests that a specific protein deficiency could be the key to understanding some cases of autism spectrum disorder (ASD). Previous studies from this team of researchers, led by Professors Benjamin Blencowe and Sabine Cordes, revealed a connection between autism and a protein in the brain known as nSR100 or SRRM4. Specifically, patients diagnosed with autism have lower levels of this particular protein. To learn more about this phenomenon, Blencowe, Cordes, and their team conducted a series of experiments on mice, which they had genetically modified to lower the levels of nSR100 in their brains by 50%. These mice began to exhibit autistic traits immediately, reported the researchers. The subjects developed an increased sensitivity to noise and avoided contact with other mice. The scientists expressed their hope that these studies will lead to new methods for improving the lives of individuals living with autism. Autism is a developmental disability that can cause social and behavioral challenges. Individuals with ASD communicate, learn, and relate to others in ways that are different from the general population. Of course, the neuronal disorder manifests in various degrees of severity, with some patients learning to have nearly typical interactions throughout the entire duration of their lives, and others struggling with even the simplest social cues. We know that first impressions are more heavily influenced by nonverbal cues than verbal cues. In fact, when it comes to first impressions, studies have shown that nonverbal cues have over four times the impact than anything you say. For an individual with ASD, however, interpreting and understanding non-verbal communication is a challenge. This often causes them to have difficulty establishing and maintaining friendships or any type of close relationships. Some doctors practice Applied Behavior Analysis for autistic children (up to age 18) to develop language, social, academic, and daily life skills, but because the disorder ranges so widely in severity that this approach doesn’t work for everyone. While one in 68 children is believed to have ASD, this Canadian research team believes that up to a third of all autism cases could be caused – or at least linked – to the lack of this one protein.